We are a small, family-run, medical practice situated in rural Carroll County, Virginia. Located in Fancy Gap, near the Blue Ridge Parkway, we provide your family with call ahead “country” care you can depend on. 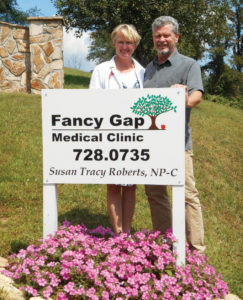 Susan Tracy Roberts, NP-C is supported by her husband, Ben Roberts, as her practice manager. Susan received her education from the University of North Carolina at Chapel Hill and the University of North Carolina at Greensboro and offers years of experience as an adult practitioner, though she is licensed to provide medical services to anyone over the age of 13. 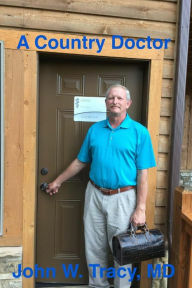 Susan’s brother and author of “A Country Doctor,” Dr. John Tracy serves as a collaborating physician and together we offer your family quality, affordable health care.